We listen to your needs and give you better results. We are a total hearing health care center, providing complete hearing evaluation services as well as state of the art hearing instruments and other assistive listening devices. Our practice is very patient orientated. We spend considerable time with patients and their families explaining what the hearing test results mean and how hearing loss impacts quality of life. We also spend time listening to patient and/or family concerns regarding the hearing loss. This enables us to then make the most appropriate recommendations. Another benefit to our patients is our association with two well respected otolaryngologists (ear, nose and throat physicians). We have shared office space and have worked together for more than twenty years. Dr. Nikhil Bhatt heads Associates in Ear, Nose and Throat, Head and Neck Surgery and has truly a world renowned reputation for knowledge of this field as well as his surgical expertise. Dr. Jongwook Ham is a partner in this medical office. Having physicians of this caliber in the same office is invaluable to all our patients. The smallest in hearing technology. 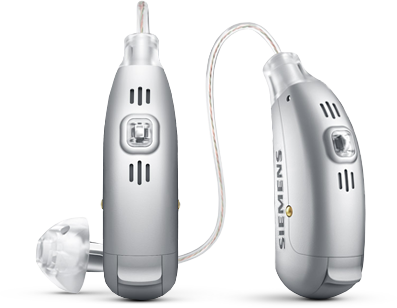 Todays hearing aids not only provide the clearest sound but they are also smaller and more discrete. View our hearing aid styles and find the right fit for you! Providing you and your family with the quality care you expect. We are dedicated to your hearing satisfaction. Schedule your appointment today with our knowledgeable and help staff and discover how we can make the difference in your overall hearing health! Patient satisfaction is our priority. Helping our patients with their ENT health care needs is our #1 priority! Quality hearing healthcare you can depend on. Our knowledgeable staff can answer any questions you have regarding your hearing care. Phenomenal services that matter most. We offer a comprehensive array of ENT services to meet your hearing health care needs. ENT care. We are more than just hearing. Our ENT physicians are dedicated to helping you and your family.